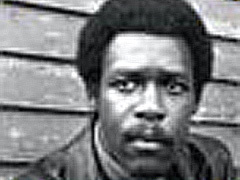 As Chief of Staff of the Black Panther Party, David Hilliard was actively involved in every major activity of the best-recognized and most feared African-American organization of the 1960's and 70's. Hilliard is author of the book, This Side of Glory, a compelling personal narrative and an eyewitness account of the Black Panthers that reclaims a piece of history long obscured and now almost lost. David Hilliard's candid life story illuminates this revolutionary movement, and sheds light on America's present racial and political troubles. David Hilliard, a vibrant voice from our recent history, speaks eloquently to the racial divisions in America today. David Hilliard arrested for passing out leaflets at Oakland Technical High School. Hilliard takes over interim command of the Party after Newton’s arrest. 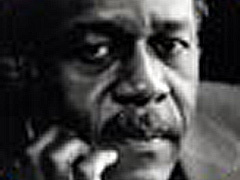 Hilliard goes to trial in Oakland in connection with charges stemming from April 6, 1968 shoot-out in which Bobby Hutton is killed. Hilliard is arrested and held on $30,000 bail in San Francisco on charges of threatening President Nixon's life; he was quoted as saying "we will kill Nixon". Hilliard gets 6-month jail term, fined $500 for carrying loaded gun in a public place. Hilliard sentenced to a one-to-ten year prison term in connection with 1968 shootout with Oakland police. Hilliard is acquitted of the charge of threatening President Nixon’s life after the Government prosecution team refuses to disclose the contents of wiretaps involving Hilliard.